Darla was frustrated. Every time she used her scrub to exfoliate, her skin would break out. She tried going gentle with it, mixing in more water, and exfoliating only once a week, but every time the result was the same-infuriating and unsightly little red bumps. Darla wouldn’t have described herself as having sensitive skin. She could use most any product without any issues, as long as it wasn’t too oily or clogging. She wanted to exfoliate-she knew it was the key to keeping skin looking fresh and youthful-but whenever she tried, her skin reacted badly. She didn’t want to give up on exfoliation, but she was beginning to think she would have to if she wanted to be rid of breakouts for good. Fortunately, there’s good news for Darla and others who may be having bad luck with exfoliation. The skin naturally collects dead skin cells over time. It’s the way it works. Cells are born in the deeper levels of the epidermis, and gradually rise to the surface. There, they die and fall away or are washed away. When we’re young, this process is quick and efficient. But as we age, those old dead skin cells tend to cling to the surface of the skin as younger cells take longer to move up. That’s why exfoliation is key to younger-looking skin. We can help slough off that hard, crusty layer of dead skin cells, which encourages the younger cells to get a move on! All exfoliating products aren’t made equally, however, and which one you use largely depends on the type of skin you have. We may think of “sensitive skin” as being skin that reacts easily to things like fragrances, sulfates, harsh chemicals, and harsh weather. But if your skin is acting up after an exfoliating scrub, you may have a bit of sensitivity, even if you don’t react otherwise. Either way, your current exfoliation method isn’t working for you. What you need to do? Switch from physical scrubs to so-called “chemical” scrubs. A physical scrub is one that contains ingredients like chopped nuts, diatomaceous earth, crystals of some sort, grains, salts, etc. that help manually scrub or scratch the skin to dislodge sticky dead skin cells so they will wash away. They work perfectly well for many skin types, but if your skin is coming away red, blotchy, and inflamed, this type of exfoliant is likely not for you. Gentle acids: Called “chemical” exfoliants, these gentle acids-like glycolic (from sugar cane), malic (from fruit), citric (fruit), and lactic (milk)-all belong to the “alpha-hydroxy acid” group. These ingredients enable dead skin cells to slough off, encouraging the growth of new cells without requiring any scrubbing. Start out slow, using a gentle formula only once a week, and then build up as your skin adapts. Don’t scrub: Did you know that simply washing with a washcloth exfoliates your skin? With your sensitive skin type, you don’t have to overdo it. Rub instead of scrub-go gently over your skin. If you must scrub: If you miss that fresh feeling that comes after a scrub, try a gentler product and see how your skin responds. Look for one that includes jojoba beads, vanilla seeds, rice bran, or powdered herbs. These have a scrub-like exfoliating action that isn’t as abrasive as standard scrubs. Peel it off: A peel-off mask-most are moisturizing-can also help to exfoliate dead skin cells. The nice thing is there is no scrubbing involved. You simply apply, let it sit for the recommended time, and then peel off. Your pores are cleaned, and the exfoliation happens naturally. Go natural: Sensitive skin types do well with homemade exfoliation masks. There are several items in your kitchen that have natural acids to help break up the layer of dead skin cells on the surface. They’re also full of other good-for-you ingredients that your skin will love. The important thing is to mix them with a base like water, oils, or yogurt, so that the overall action is gentle. We hope you try some of the suggestions above. Exfoliation is important to your skin care routine, and with a little effort, you can find an option that works well for you. Meanwhile, here are a couple of recipes for homemade exfoliating masks for sensitive skin, in case you’d like to try one. Mash up some strawberries, mix with natural yogurt, and add some finely crushed oatmeal until the mixture resembles a paste. Massage into skin and leave on for about 10 minutes, then rinse off. Wrap a handful of rough oats in a muslin cloth, tie it closed, and then use in the shower in circular motions over your skin. 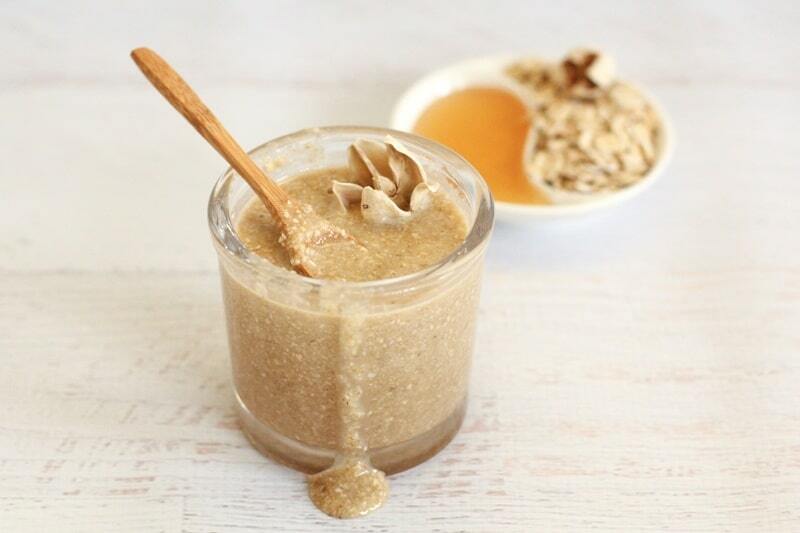 Mix a couple tablespoons of orange peel powder with 2 tablespoons oatmeal, 1-teaspoon honey and 1-tablespoon water. Massage on clean skin for a couple minutes, and then rinse off. You can also try a mashed banana instead of the orange peel powder. Mix the juice from half a lemon with two teaspoons of rose water and a teaspoon of rice powder. Blend into a paste and use as a mask for about 5-10 minutes. Rub around the skin if desired, and then rinse off. How do you exfoliate sensitive skin? Please share any tips you may have.